"Is there anything I should know before I buy hair weave?" Whether you plan to buy hair weave online or from a hard goods store (like a salon or high street store) what you really want to know, what you really ought to know, are the factors that might make some hair weaves unsuitable for you and others absolutely perfect for you - and this is the guide that does just that; here are two things you should know before you buy your hair weave. We know we sound bonkers, but let us explain. Hair weave are attached in different ways; some with glue, some with thread and others with a self-adhering strip at the top of the weft. ...Then based on our new found hair crushes, we've committed the consumer crime of impulse purchasing. We've acted without thinking (or researching, or asking) and decided that this particular set of extensions will change our hearts, minds and therefore the world around us....then we they arrive through the door or we get home (or to our hairdresser) and find that our new found hair-love weaves (yes, by this point our hair crush has developed into full-blown hair-love) can't be attached in the way we expect (or want, or need). So before you buy your hair weave decide on how it's to be attached. If you're aiming to have the weave sewn into your hair, then make sure that you buy tied hair weaves that are able to be sewn into your hair. If you intend on using bonding glue to attach your hair weave, then make sure you're aware and comfortable with the thickness of the weft (the area at the top of the weave where the hair is sewn together). If you're aiming to wear "stick on" hair weaves also known as tape hair or skin wefts, then make sure you pay attention to the description of the hair weave as self-adhering skin wefts cannot be used as sew-in weaves. The method of attachment also impacts the daily styling hair weave products you use, or rather how they're used. Hair wefts can be hand tied or machine tied. Hair wefts can also be double tied or single tied. Usually (but not always) single tied wefts are tied by hand and double tied wefts are tied by machine.... (Whoa, whoa, whoa! We already said at the beginning of that statement (albeit in parenthesis) that this is not always the case - so you can stop with the head shakin', the finger waggin' and the tuttin'...sheesh, you guys are as tough as you are smart - which is actually a good thing as it keeps us on our toes). OK, where were we? Ah yes, hair weave weft construction; so why should it matter whether you buy hair weave that's single or double tied by machine or hand? Good question; well it's about density of the hair and the thickness of the attachment area (or track). Single tied wefts typically have less hair than double tied wefts and in addition they have the reputation for shedding at a quicker rate than double tied hair wefts (we say "reputation" because we couldn't find a hair weave weft study with conclusive findings). This all goes to say that if you're going for ultra-glam big hair then be aware that if you choose single tied wefts then you may need more of it for that ultra-full big-hair look; and this is something you should be clear about before you buy hair weave extensions (especially as not all retailers allow hair extensions to be returned). 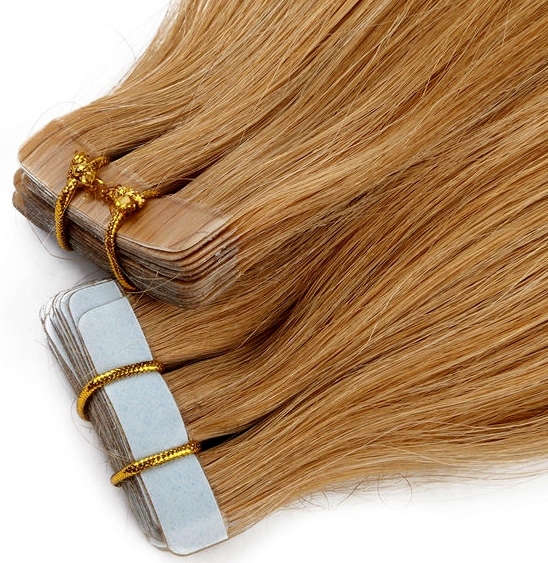 Double tied wefts typically have more hair than single tied wefts and in addition they have the reputation for shedding hair at a slower rate than single tied hair wefts ("reputation" used for the same reasons as above). 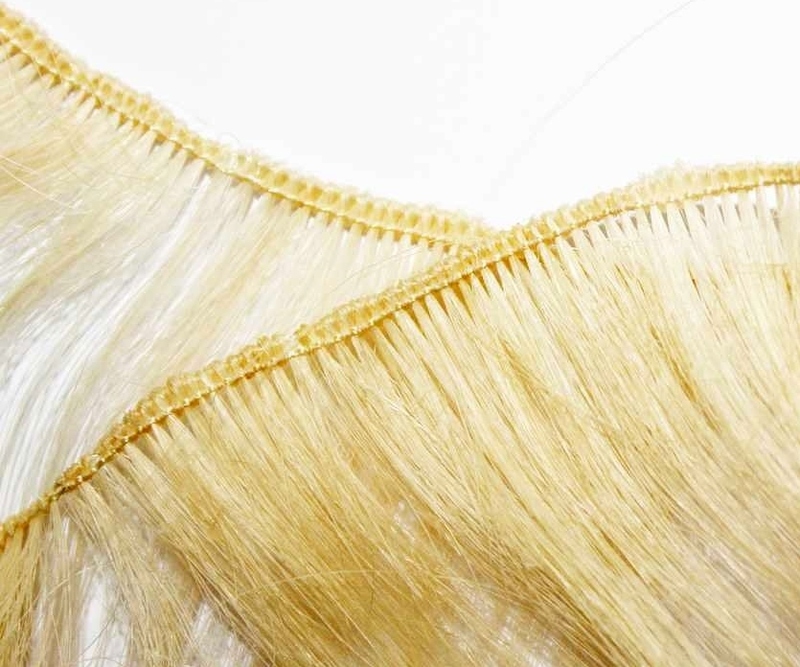 If you're planning on a full head of hair weave then you'll have to think about the space between each line of tracks especially as you work on the crown (whether glued or sewn); hair weave thickness is great but hair weave bulk...not so much; and this is why weft construction is something you should know and think about before you buy hair weave extensions. That may seem like a lot to take in, but it can be what it boils down to is having an idea before you buy hair weave how you'd like it to be attached and whether the weft construction suits that attachment method. There are a few other things to consider before buying hair weave and that'll be in the next guide. If you'd like to keep up to date with articles and guides, then why not join our blog, it's easy to do and doesn't require any personal info - yay!